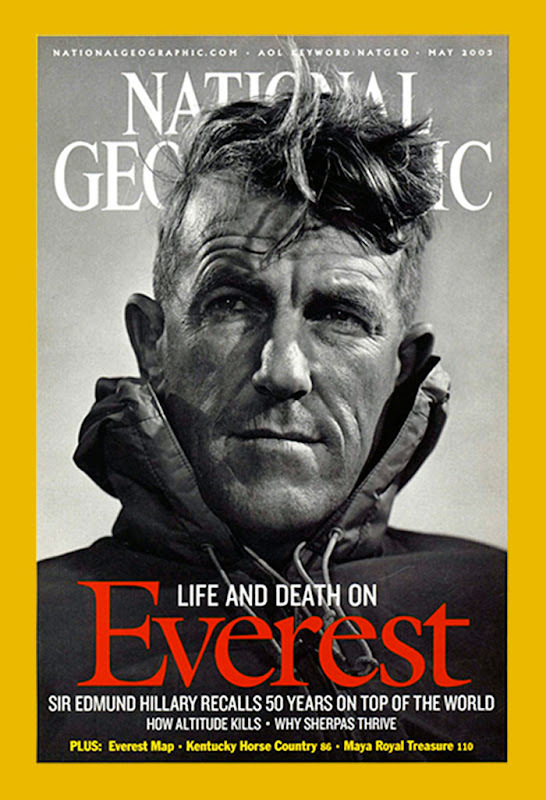 This next photo is from Life magazine was taken during the descent from the top of Mount Everest in a low camp. 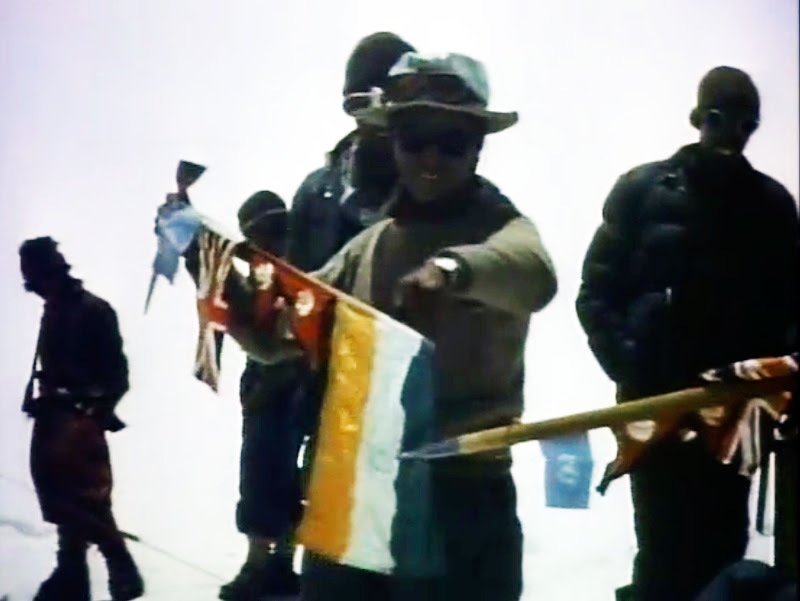 Tenzing is wearing his Rolex watch that he wore to the Summit of Everest. 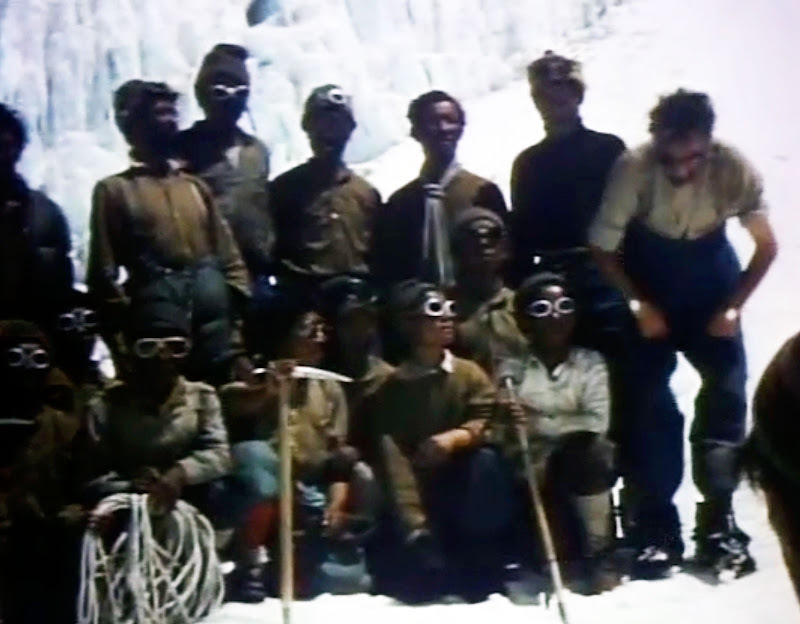 Tenzing Norgay received it as a gift from Swiss Expidition climber Raymond Lambert after he and Raymond Lambert almost reached the summit of Everest the year before in 1952. 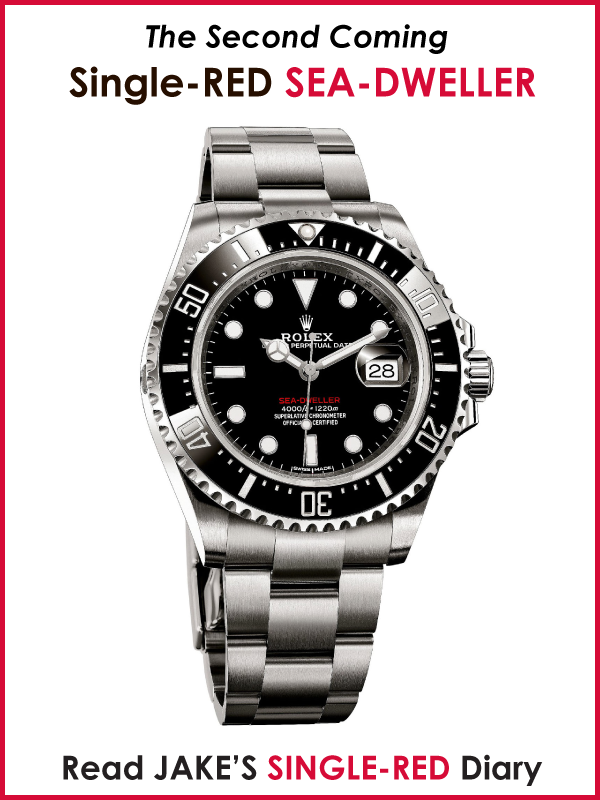 I think I may have discovered the type of Rolex watch Tenzing was wearing in the photo above. 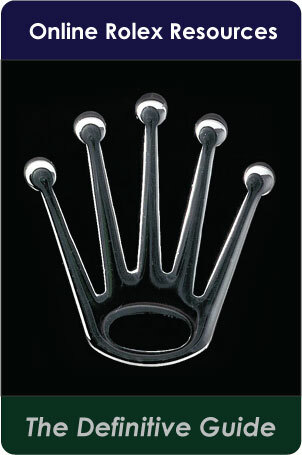 It is called a Rolex Royalite and it is from the 1940s. I found the watch pictured below on www.Oysterwatch.com and they say it has an "Original bamboo style bonklip bracelet." 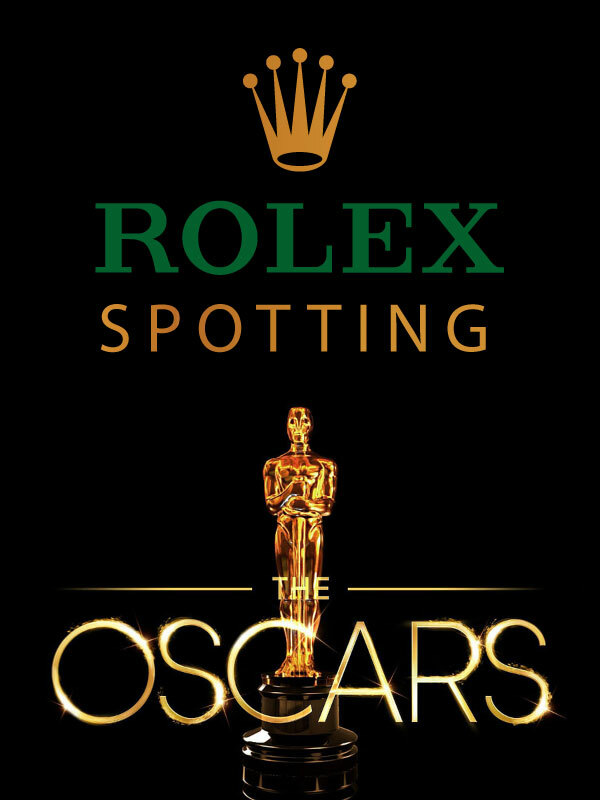 Just for the record, I am not saying I think Tenzing's model is a Rolex Royalite, per se, I think the watch could be some kind of Rolex Oyster from that era. If you study the vintage Rolex Oyster's from that era, you notice Rolex made a zillion different models with all kinds of interesting and disparate nomenclature. 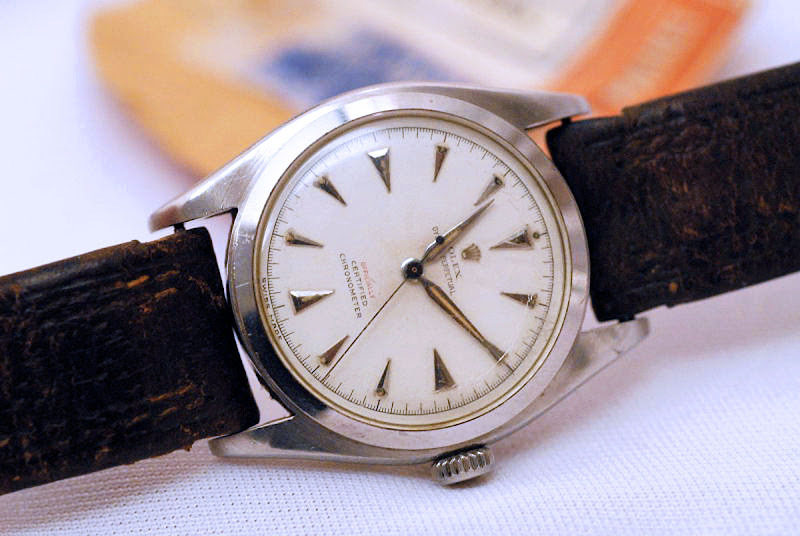 Update on June 27, 2009: I have located Tenzing Norgay's Rolex he wore to the summit of Everest in 1953 and I am working on getting photos of it. The photo below of Tenzing was taken high on the mountain and I am relatively certain he is wearing the same watch as pictured above. I have also seen two other photos of him that are not in this article where he is wearing the same stainless steel watch with a stainless steel bracelet. 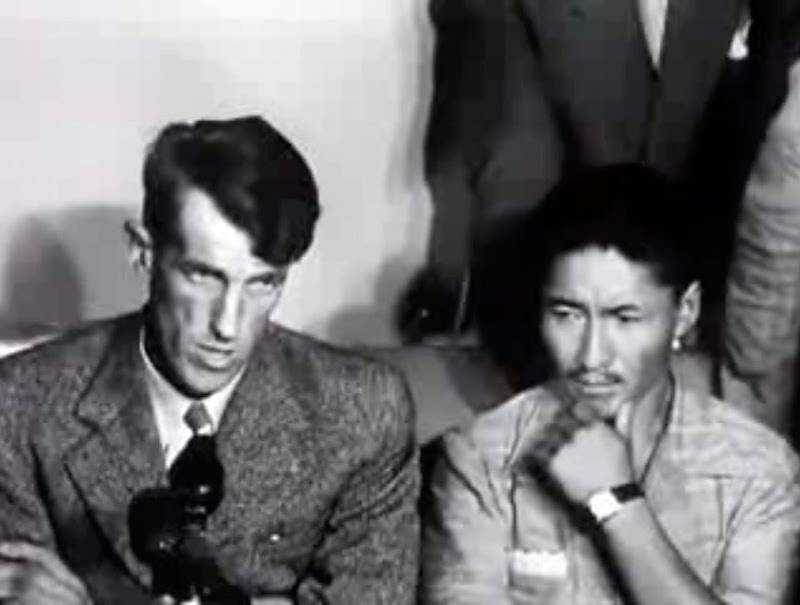 This next photo of Edmund Hillary and Tenzing Norgay was taken in a press conference in London, after they completed their successful climb. Notice in the photo that Tenzing is wearing a different watch on a leather strap. 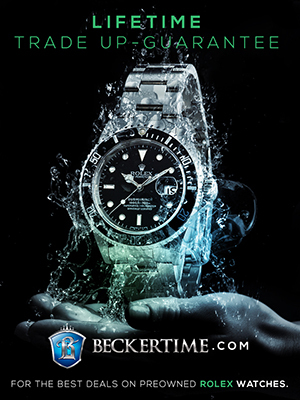 According to James Dowling and Jeff Hess' book, The Best of Time, Rolex has, in its possession, Tenzing's Rolex that he wore up to the top of Everest. 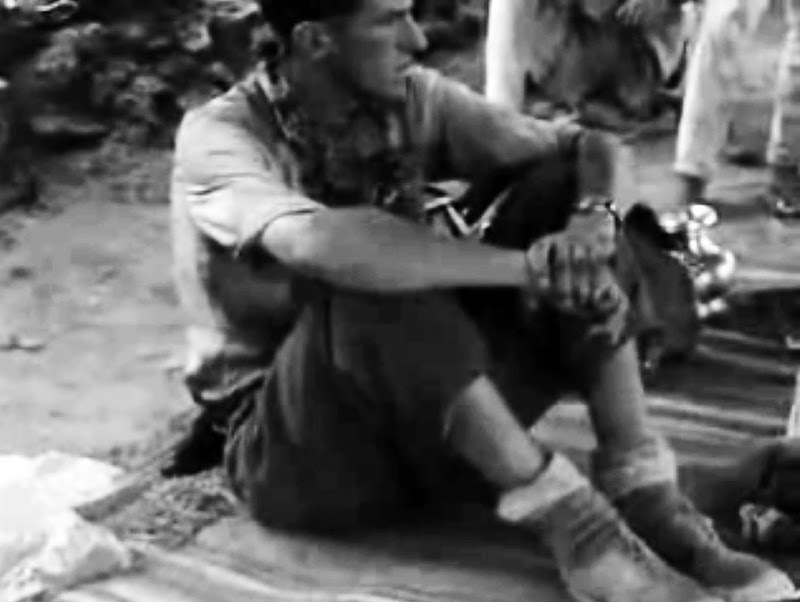 In this next photo, taken on the same day as the photo above we see Tenzing wearing two different watches–one on each wrist. I don't know why he would be wearing two watches at the same time when he is not climbing? 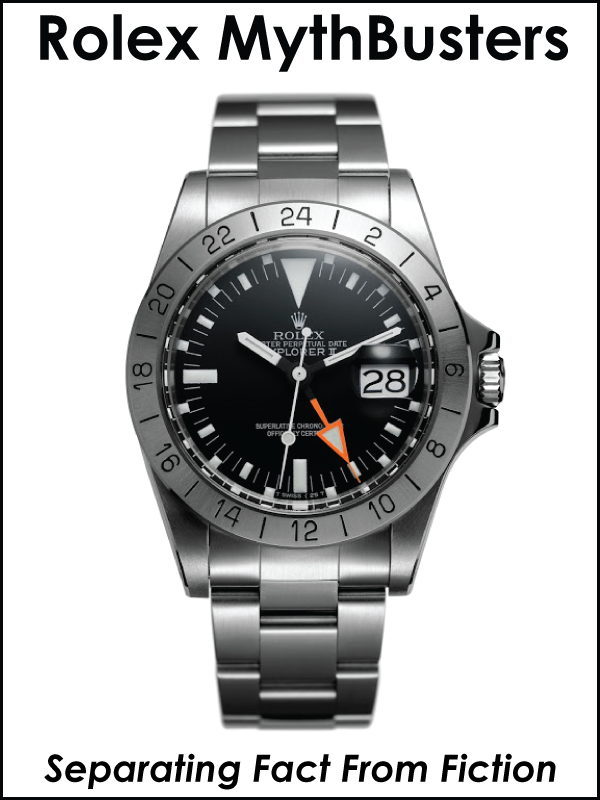 It could be that one watch was keeping local time in England and one was keeping time in Nepal? 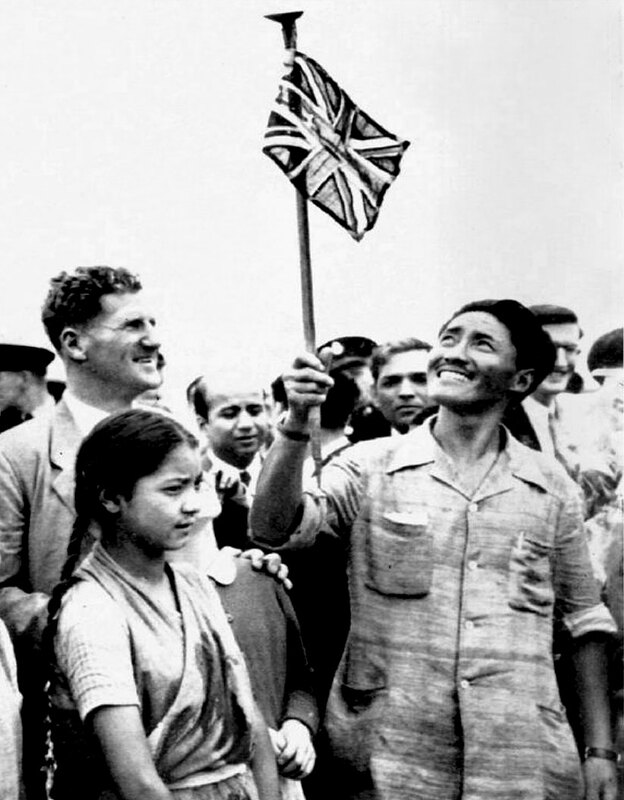 In the photo below, again you see Tenzing holding up the Union Jack while Sir John Hunt looks on. 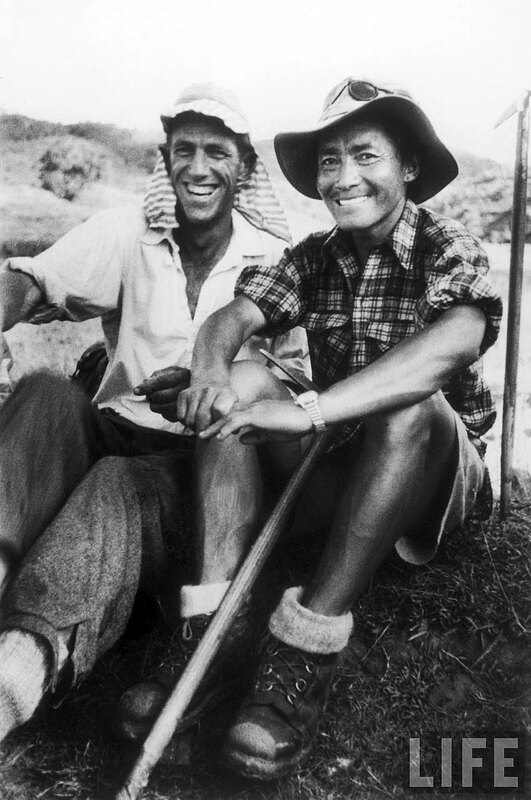 This photo confirms Tenzing was wearing two watches. 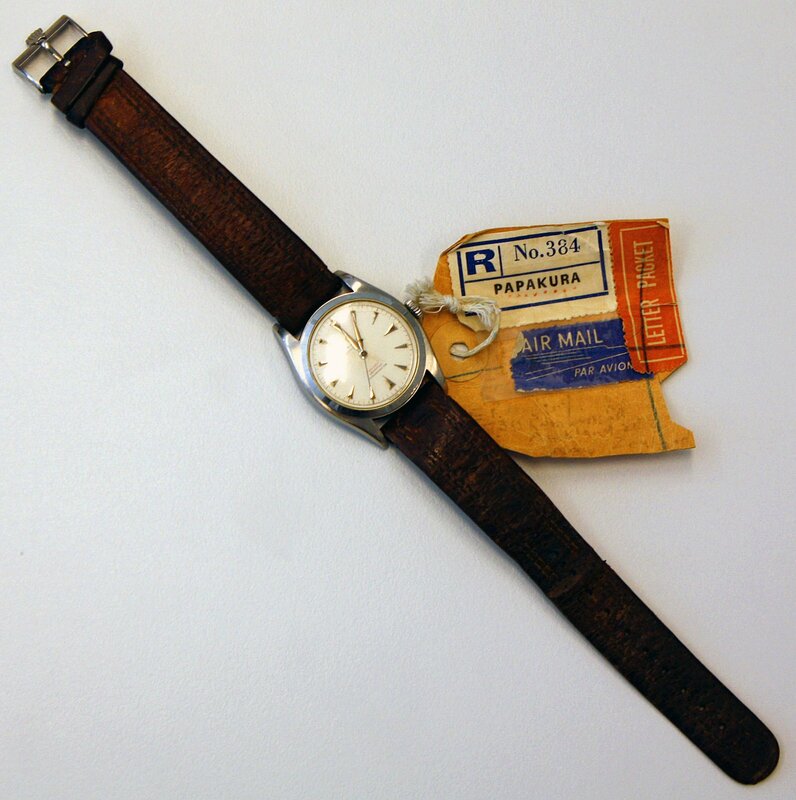 If you examine the evidence, it appears that Edmund Hillary wore a Rolex and a Smiths' watch. This next image substantiates that claim. It was taken just after he came down from the peak. He is posing with a group of Sherpa's and he is wearing two watches–one on each wrist–at the same time. 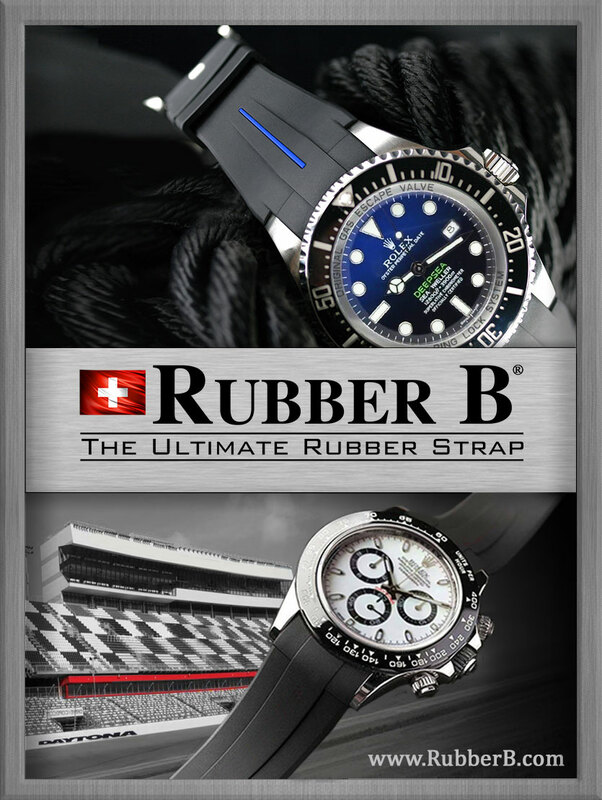 Both watches appear to be on black leather straps. I must say I have really enjoyed researching and writing this amazing story, but I must also tell you that I am a bit frustrated. 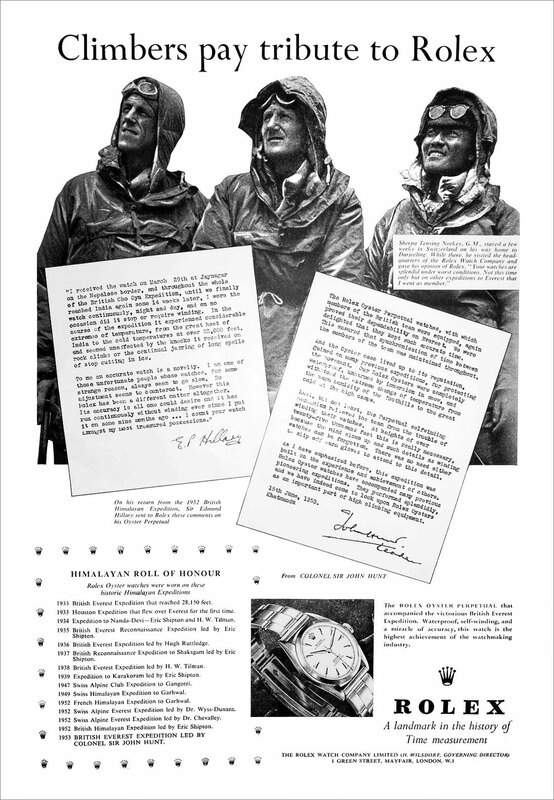 I shared my findings with you and I am not able to find anything conclusive that proves that Hillary, Tenzing or Hunt wore Rolex watches on the successful Mount Everest Expedition. 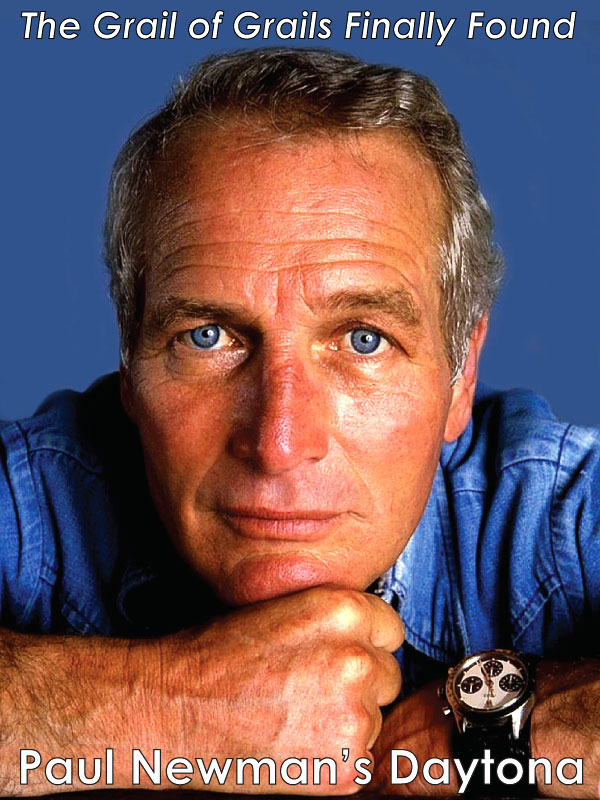 I wish I could show you a photo of Hillary, Tenzing or Hillary unequivocally wearing a Rolex but I can't find one. I don't pay much attention to the myths that have been handed down, because in my experience, most of them have proven to be just that–myths. As far as I am concerned, I don't believe until I can see with my own eyes. 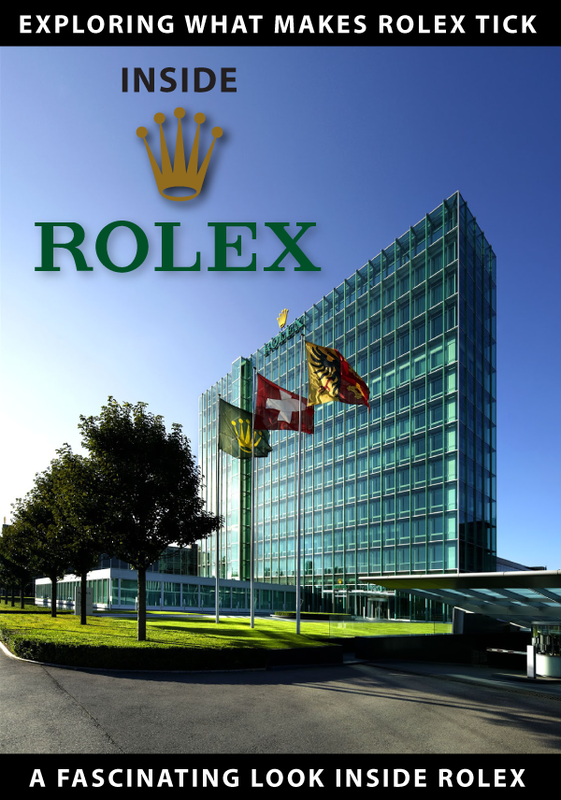 I believe Rolex of Geneva would be in the best position to separate the fact from the fiction on this issue. 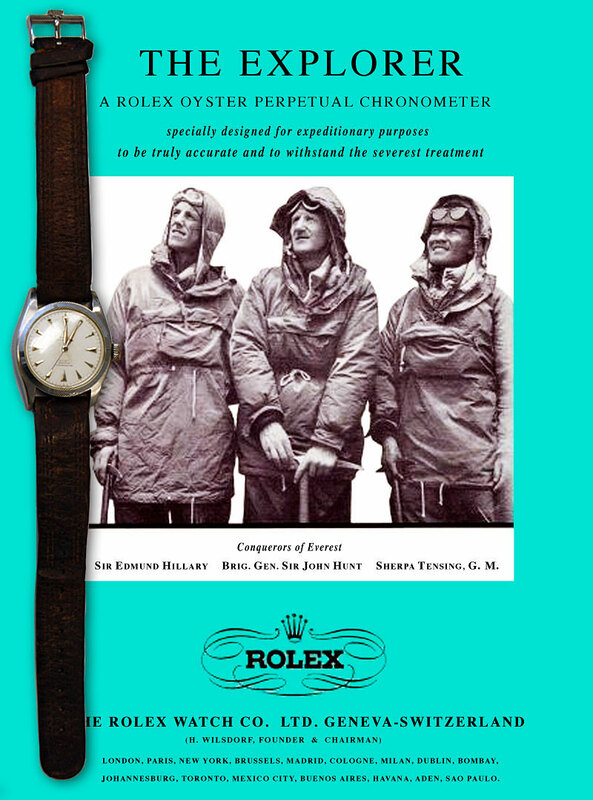 We clearly see Rolex was all over the Everest bandwagon long before Tenzing and Hillary conquered Everest. 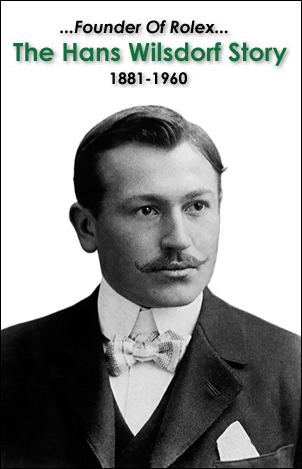 I say this because we see Rolex "Everest" Models going back to the 1930s and 1940s. 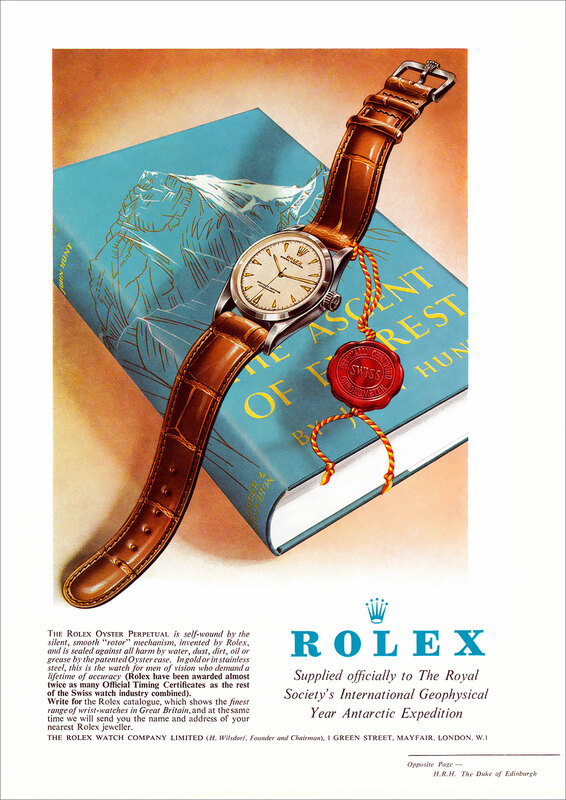 In the Rolex document from the Horological Journal dated September 1953 (pictured above in this watch section) Rolex enumerates the 15 historic Himalayan expeditions in which Rolex Oyster watches were worn. 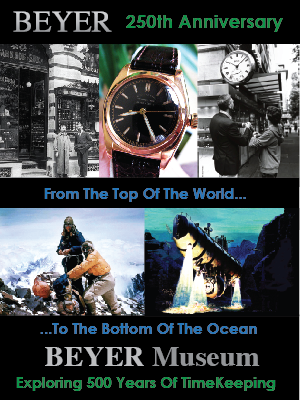 In the Rolex brochure from 1966 (pictured above in this watch section) Rolex published direct quotes from Sir John Hunt, Sir Edmund Hillary and Sherpa Tenzing Norgay that suggest all three wore Rolex watches up to the top of Everest. 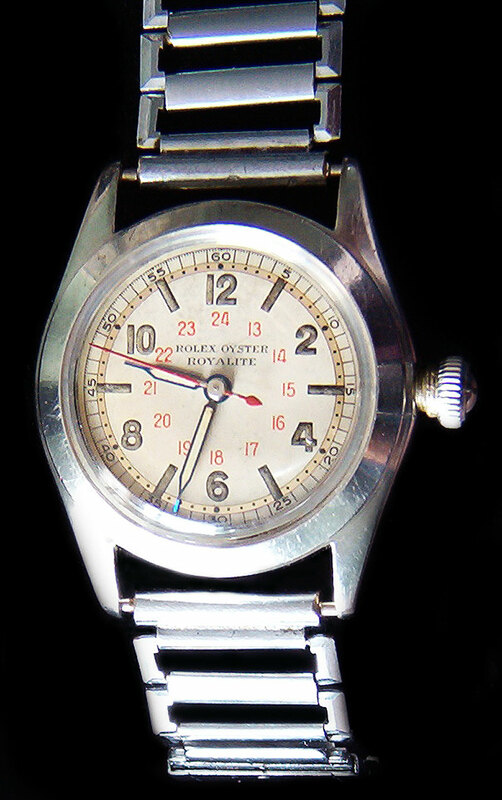 Once again, I wish I could offer you more concrete proof and hopefully in the future I will dig it up, or Rolex or somebody else will step forward with the few missing pieces of the Rolex Everest watch puzzle and solve the mystery once and for all. Until then it will remain a mystery. 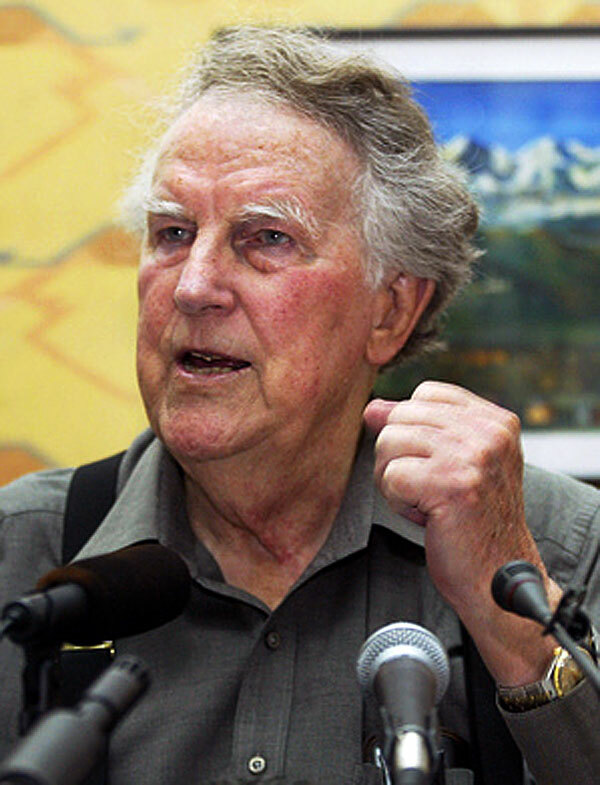 In the recent photo of Sir Edmund Hillary before he passed away you can see he was wearing his two-tone Rolex Oyster Quartz...That means he wore Rolex for at least 55 Years. 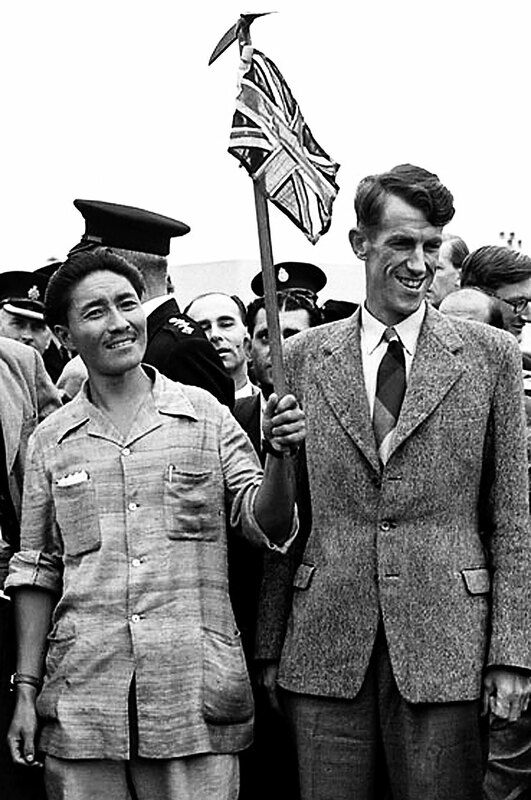 Sir Edmund Hillary also served as a judge on Rolex' panel of judges for their Enterprise awards. 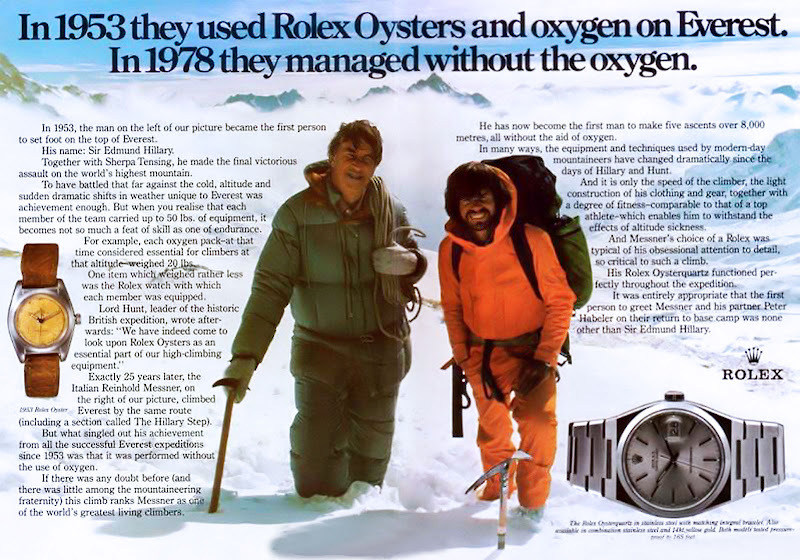 Update: In November of 2009, I discovered this Rolex Ad from 1978 that further confirms that Sir Edmund Hillary indeed wore a white dial Rolex Oyster when he conquered Mount Everest. 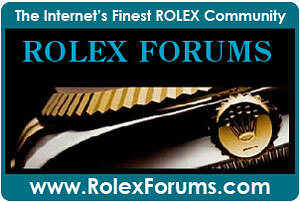 1953 was a good year for Rolex. In 1953 Jacques Piccard set a depth record when he took a Rolex Deep Sea Special down off the coast of Italy in the Bathyscaphe, Trieste. It is profound in my mind that in 1953 both Hillary and Piccard broke world records with Rolex and they both passed away in 2008.